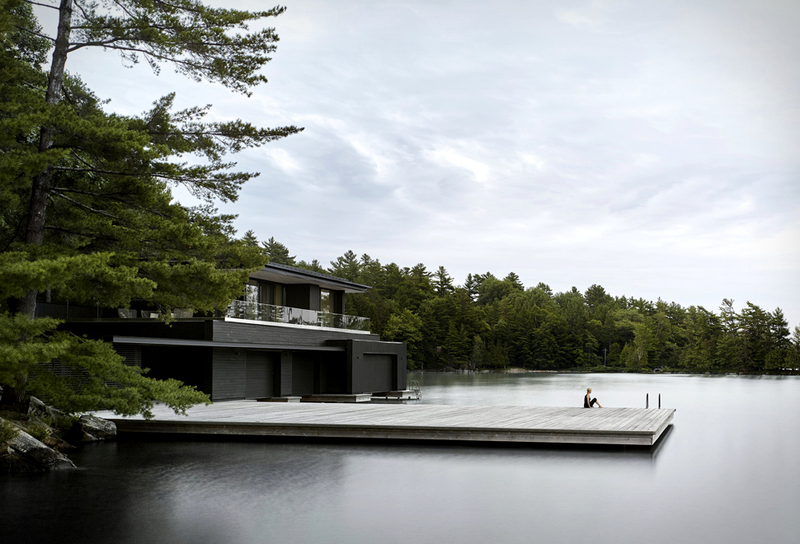 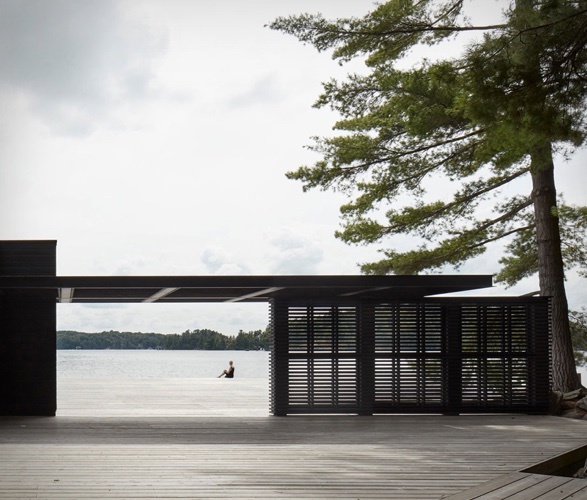 The Tobin Island Boathouse is worth a serious look should you be out and around Lake Rousseau, a part of the Muskoka Lakes in Ontario, Canada. 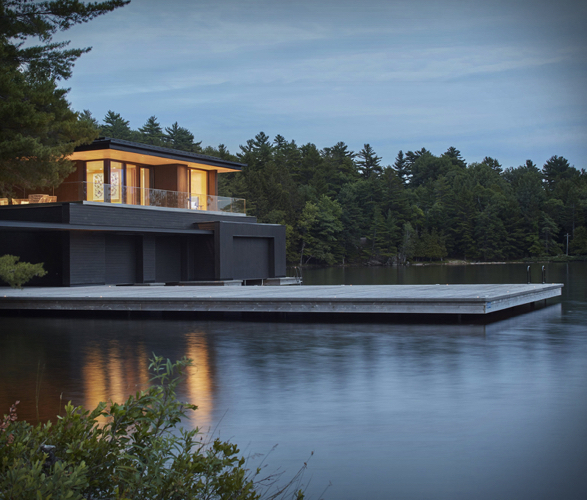 Designed by the AKB Architects team, the sleek minimal and edgy look is beautifully integrated in its luscious natural surroundings. 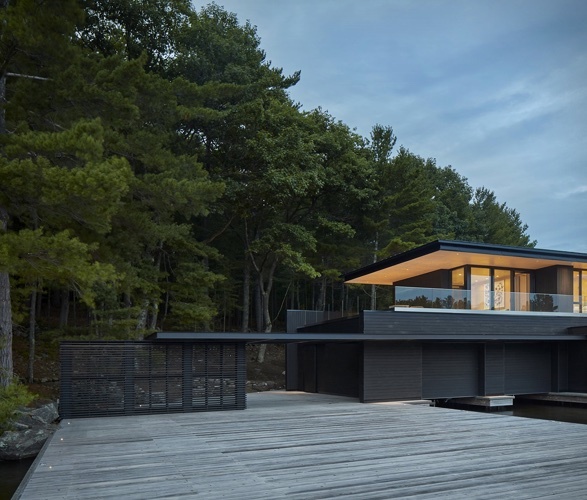 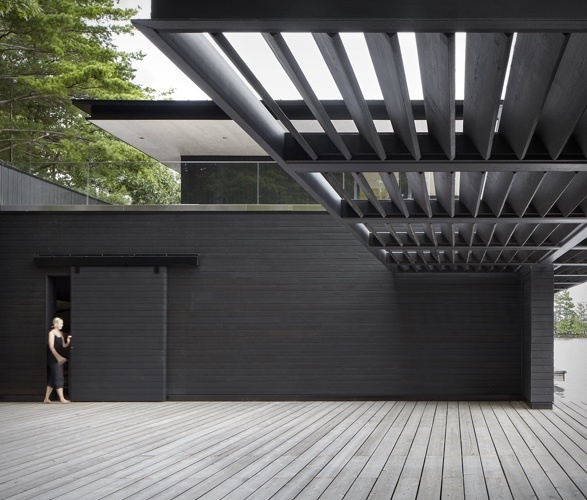 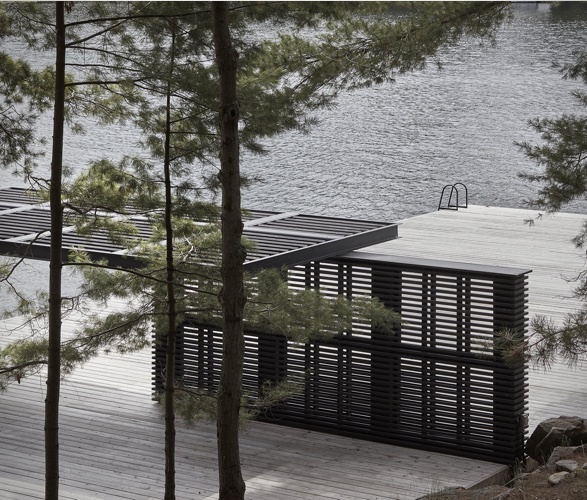 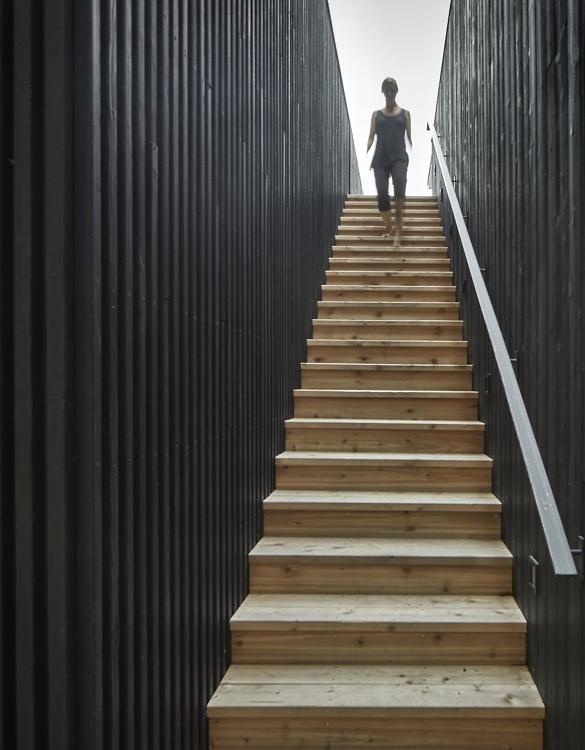 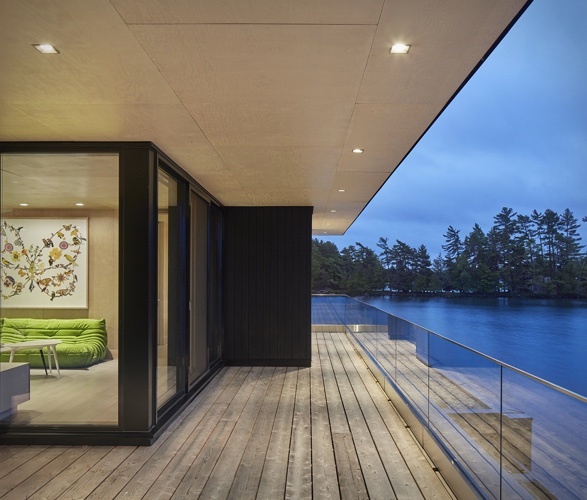 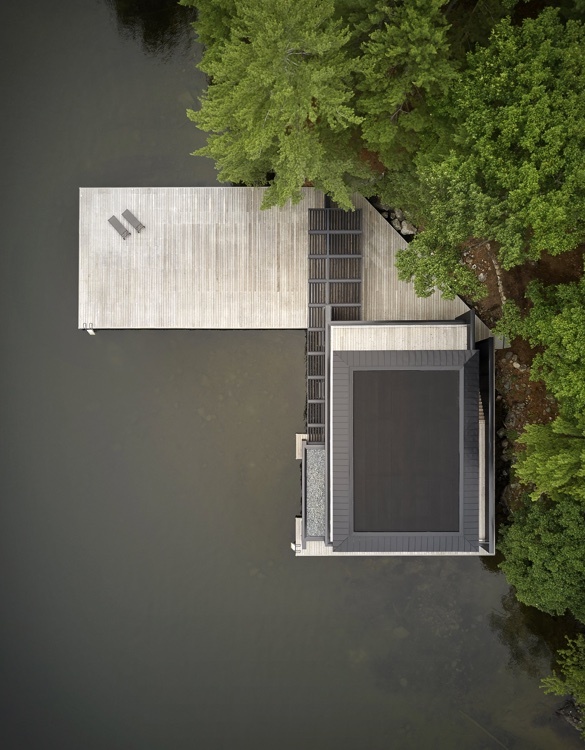 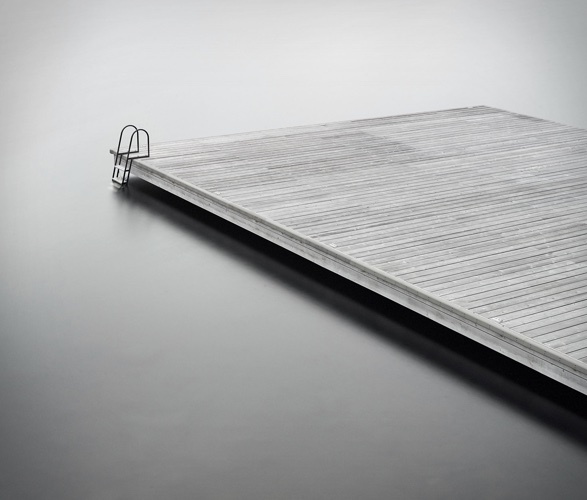 This boathouse uses mainly weathered cedar wood with a special charred treatment, similar to an old Japanese technique, known as the Shou Sugi Ban, which helps the whole thing seamlessly blend with the decor and withhold harsh conditions. 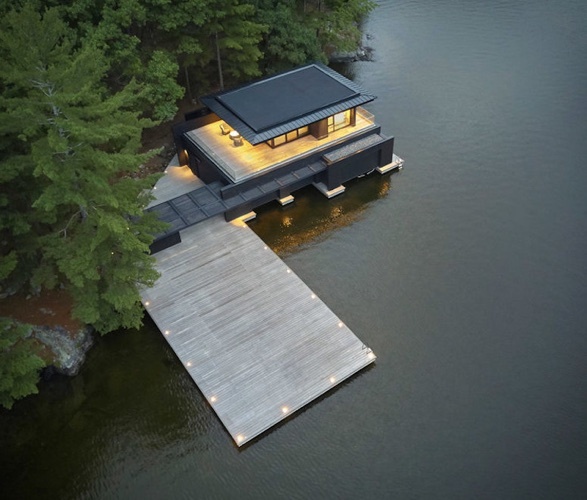 This two storey structure is located on an island and at the waterline you get the storage boat area plus a big deck to sunbathe, fish or take a dip on the lake. 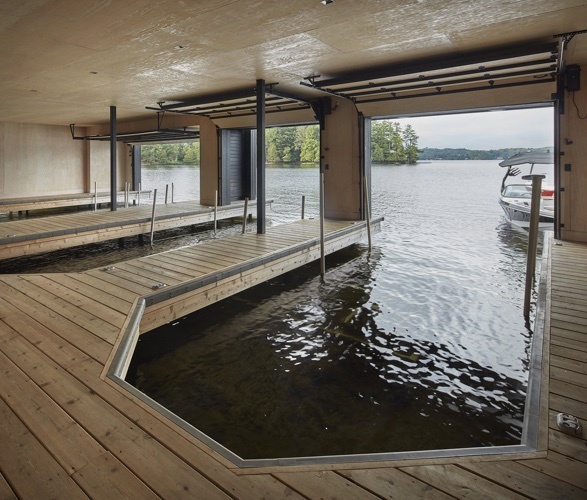 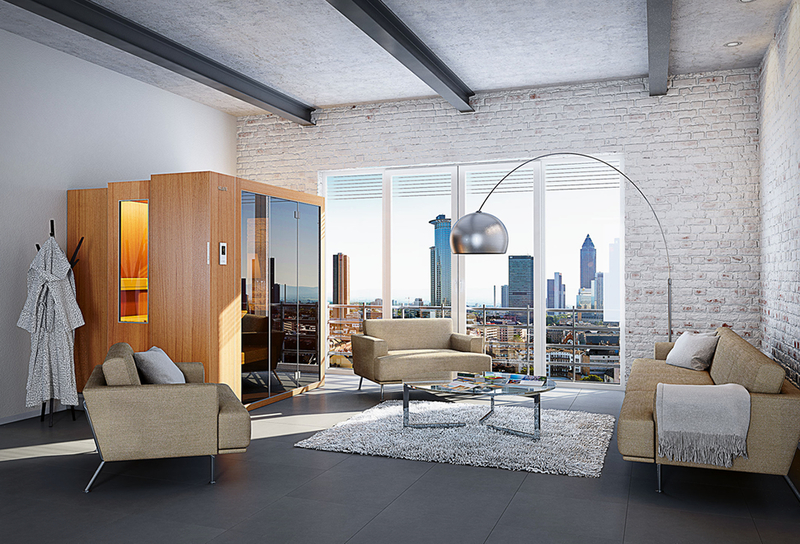 On the upper level there are two bedrooms, a bath, a living area and a kitchenette.